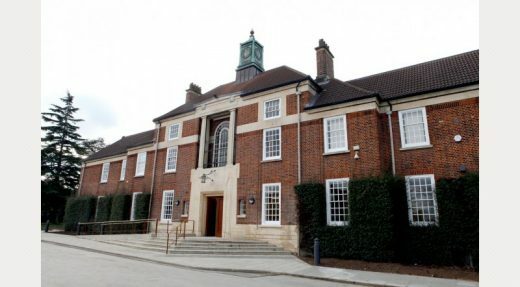 Fraser Brown MacKenna have won an invited design competition run by the South London and Maudsley NHS Trust to create a new “Museum of the Mind” at Bethlem Royal Hospital, due to open in 2014. Bethlem is one of the world’s oldest hospitals for the treatment of mental illness. The Bethlem Archives and Museum Service was established at the hospital as a small exhibition space in 1970 and now houses over 450 works of art by artists linked to the hospital or the field of mental illness, including pieces by Richard Dadd and Louis Wain who both once spent time at Bethlem. The archive contains a continuous record of the hospital since 1559 and contains fragile and valuable records. Our proposals involve the refurbishment and extension of the former Administration Building, which retains a stunning Art Deco reception area and staircase as well as the historic Boardroom of the hospital. The new museum will house environmentally controlled archive storage, a conservation studio, dedicated spaces to accommodate archive researchers and education visits and galleries for temporary exhibitions. The focal point of the new museum will be a permanent display which explores the long history of mental health care and treatment at Bethlem and elsewhere. Key to our design is a desire to ensure ensure the building itself plays a significant role in forming the visitor experience – the exhibition will conclude within a space for quiet reflection and contemplation where visitors can take time out from sometimes confronting experiences. This space will be provided by a contemporary glazed extension, designed to complement the existing building in terms of scale and proportion. This unique room will direct views to the landscaped grounds of the hospital and display poetry to inspire the visitor’s imagination.